I love thinking about space. I really do. When I imagine the future of humanity, I can't help but to envision the expanse beyond our breathable atmosphere. Space represents an infinite set of possibilities, a vast landscape of dreams, aspirations, and perhaps fears. I, for one, am quick to agree with Dr. Neil deGrasse Tyson that the continued exploration of space—specifically the short-term goal of putting a man on Mars—is of extraordinary importance to mankind. This dream has been the backdrop of some of some of the greatest fiction ever created, which in turn has fueled the realization of the technologies that old-timey futurists only dreamed of. And though I can assume that Dr. Tyson is not a proponent of video games, I can think of no medium more suited to depict space than video games. I could easily spend an afternoon recounting memories of my most immersive moments in games such as Wing Commander: Privateer, Star Trek: Starfleet Academy Starship Bridge Simulator (a mouthful), Freelancer, and an obscure little shareware game called EGA Trek, but eventually I'd like to get to the point. At the time of this writing, Steam shows that I've spent well over 17 hours playing Faster than Light since its release. I really can't help it, and it seems like the internet agrees with me, which is why there really is no need for me write a lengthy piece of evangelism. Besides, it costs about as much as (or perhaps less than) the price of a movie ticket, so you should just decide for yourself if you like the game. Stop reading this for an hour or two, play a few rounds of the game, and then let's talk about what I would love to see in a sequel. 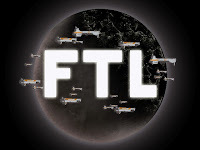 In many ways, FTL reminds of EGA Trek, which was a primarily text-based starship simulator. The old game placed you in an 8x8 sector of space, and your goal was simply to destroy any enemy ships before moving on to the next sector. 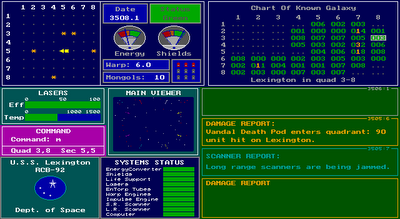 Of course, between the lack of any graphical fidelity and a complete reliance on text commands, EGA Trek has not aged particularly well. Aside from the free-form nature of its quest, the minute-to-minute gameplay in EGA Trek is not that different than what happens in FTL. 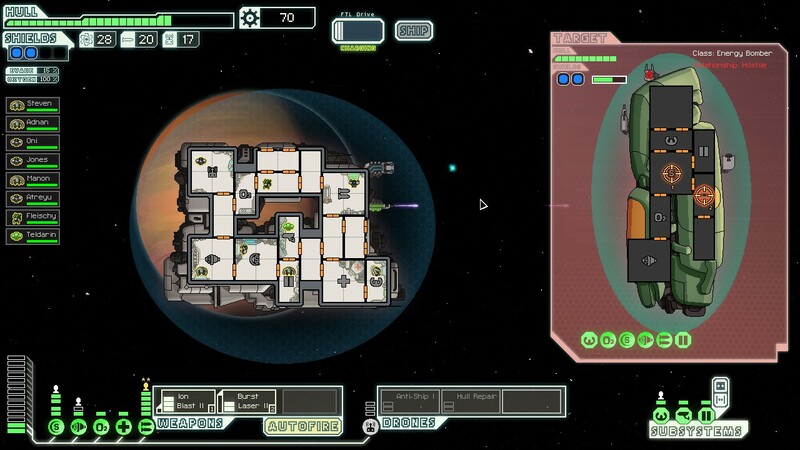 However, FTL is much more intuitive to control and actually has a little graphical flair. Include a little more plot. I'm not asking for Mass Effect here because the gameplay is (and should remain) the primary focus of this game. 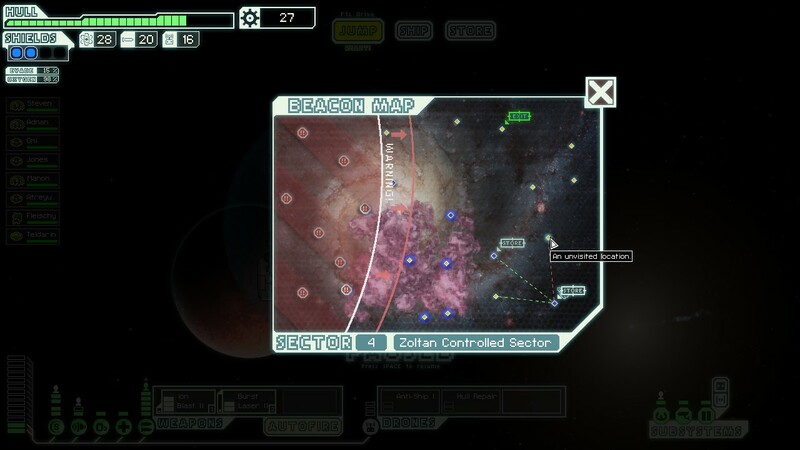 However, a handful of story missions and some randomly-generated side quests (the sort that you'll encounter in nearly every space sim game ever) would do a lot to make for a more immersive universe. Give me some time to explore. If the universe is more immersive, a little time to enjoy the sights would be fantastic. How about an economy? 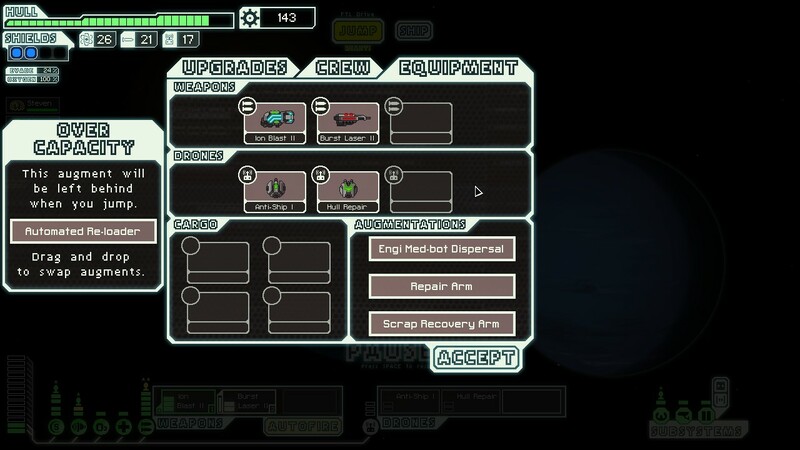 I'm sure I speak for a sizable group of old space sim fans who wouldn't mind the opportunity to make a few trade runs for the sake of purchasing those all-important ship upgrades. Or, you can feel free to brush aside anything that I might say as the ramblings of man who misses the games from a beloved and long-dead genre. Now, do us all a favor: call your local senator or congressman to let him or her know you don't support NASA budget cuts. I want to vacation on Mars!